Brad Coppens joined OEP in 2006 and is a Managing Director based in New York. During his twelve years at OEP, Mr. Coppens has focused principally in the healthcare industry and has worked on numerous investments in both the healthcare and technology-enabled services industries. From 2012 to 2014, Brad lived in São Paulo, Brazil and led OEP’s legacy investing efforts in the region. Mr. Coppens is a member of the Board of Directors of Cless Cosmetics, OneLink, Portal de Documentos, The Results Companies, Simplura Health Group, Unicoba, Wow! Nutrition, and Ernest Health, and was previously a member of the Board of Directors of Allied, Prodigy Health Group, Systagenix Wound Management and X-Rite. Mr. Coppens was also deeply involved in OEP’s investments in ArthroCare and Wright Medical. 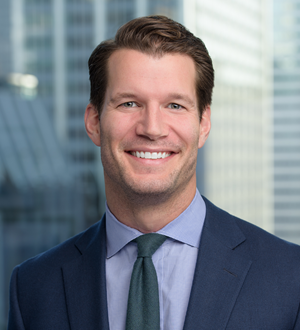 Prior to joining OEP, Mr. Coppens worked in the Investment Banking division of JPMorgan in the Mergers and Acquisitions Group where he focused on healthcare and various other industries. Mr. Coppens also serves on the Board of the TEAK Fellowship, a non-profit organization that helps talented students from low-income families gain admission to top high schools and colleges. Mr. Coppens received his B.B.A. in accounting and finance from the Stephen M. Ross School of Business at the University of Michigan, where he graduated with High Distinction.